Tuscaloosa News: Gov. Bob Riley said today that he warned Don Siegelman against politicizing the corruption case that eventually ended with the former governor in prison. “I actually went to Gov. Siegelman, I told him — I looked him straight in the eye — and I said ‘You can go out here and demagogue this, you can say what ever you want to say, but I want to tell you, I have never had a conversation with anybody about your case, and I never will do it,’” Riley said of a meeting before Siegelman went on trial for corruption in 2006. 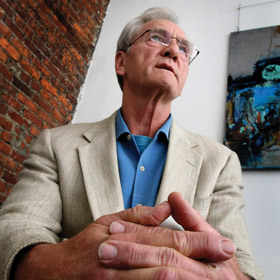 Siegelman was convicted and served nine months in prison before being released earlier this year while he appeals the rest of his more than seven year sentence. Riley, speaking on camera for a segment of the Tuscaloosa News’ Town Hall Web cast, said the confrontation came in the old Alabama Capitol during a ceremony they both attended. “It was before [Siegelman’s trial] because he was saying ‘This was a Republican conspiracy,’” Riley said. “And I told him, I said, ‘Look, you might [win] the case, I don’t know. But I’m going to tell you, just so you know, and you know that I know that you know, that there is nothing that I have ever done personally, there is nothing that my family has ever done to you or said about you,’” the governor said. In response, Siegelman said this morning that he remembers the function at the Capitol, remembers talking to Riley, but does not remember what they talked about. “I certainly don’t remember it like that,” he said. Siegelman, who was defeated by Riley in 2004 in his bid for a second term as governor and was convicted in June 2006 on seven counts of bribery, mail fraud, and obstruction of justice. He has alleged that he was the target of a federal witch hunt orchestrated by Karl Rove, at the time President George W. Bush’s top aide, and coordinated with federal prosecutors in Alabama. Washington Post: Defense Secretary Robert M. Gates today announced the resignations of two top Air Force officials because of what he said were serious leadership problems involving the security of U.S. nuclear weapons and components. 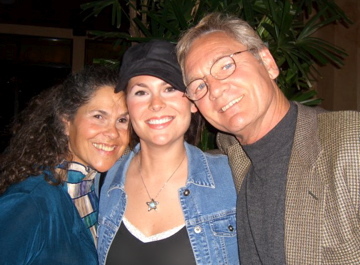 Raw Story: The US Justice Department’s Office of Professional Responsibility (OPR) is investigating the conduct of at least two specific US Attorneys in the “selective prosecution” of former Alabama Governor Don Siegelman, sitting Mississippi Supreme Court Justice Oliver E. Diaz Jr., and Mississippi attorney Paul Minor, according to attorneys close to the investigation. CNN: The United Arab Emirates is expected to soon name an ambassador to Iraq and could open an embassy in the war-ravaged nation, Iraqi officials said Thursday. This has been the most competitive and expensive race of the primary cycle with four of the Republican candidates spending several hundred thousand dollars, each digging in their own pocket for a large percentage of their overall budget. While this race has had its share of twists and turns, it looks like the primary is ending where it began – with Harri Anne Smith and Jay Love as the favorites. Despite game efforts by David Woods and Craig Schmitdke, it’d be a huge upset if either displaced one of the top two to make the runoff. Depending on which poll ones looks at, either Smith or Love has the lead. It’ll be interesting to see which candidate comes up on top, but unless there is a lead of high single digits or more, a runoff would begin on a pretty even footing. Prediction – Smith and Love finish well ahead of the pack but within less than four points of each other, with Schmidtke usurping third place from David Woods. This one won’t be close. It’s hard to imagine Bright being seriously pushed to secure the nomination, but only a fraction of one of the district’s counties has actually ever seen him on the ballot. And opponent Cheryl Sabel is the only Democrat to run television ads, while Bright strategically sitting on his money. I’d peg 60%-65% as the expected Bright range, with anything below that showing considerable weakness that won’t help the mayor begin the general on the right foot. Prediction – Bright wins by about 2 to 1 over his two lower profile opponents. Though this has race attracted its share of Republicans, only two candidates have run top-flight, professional campaigns saturating the district with TV ads. Wayne Parker was the establishment favorite all along with Cheryl Baswell Guthrie playing the role of the self-funding insurgent. Guthrie’s fourth quarter ads hitting Parker for his lobbyist background have shaken up the race as local Repbulican figures have condemned Guthrie’s negativity. Doc Mancuso has injected his campaign with over $100K from his own pocket, which should separate him from the also-rans. But it’s hard to imagine any result other than Parker finishing first with Guthrie in second with everyone else in the dust. Which leaves the question: will Wayne Parker secure a majority today or will he be faced with a six week runoff that could grow increasingly negative? Prediction – Guthrie’s negative ads might not ultimately help her bid for the nomination, but it will be enough to keep Parker under 50% and ensure a runoff. There are no surprises in the first Rasmussen Reports telephone survey of the Presidential race in Alabama. John McCain leads Barack Obama by twenty-eight percentage points, 60% to 32%. George W. Bush won the state by twenty-five points in Election 2004 and by fourteen points four years earlier. The state’s Senate Race is also looking good for the GOP. Nationally, McCain and Obama remain quite competitive in the Rasmussen Reports daily Presidential Tracking Poll. McCain attracts 91% of Republicans, 13% of Democrats, and enjoys a twenty-three percentage point advantage among the state’s unaffiliated voters. McCain is viewed favorably by 62% of voters statewide while Obama earns positive reviews from just 36%. Fifty-one percent (51%) of Alabama voters say it is more important for the United States to win the War in Iraq than to get the troops home. Forty-three percent (43%) hold the opposite view and say it is more important to bring the troops home. The results in Alabama are a mirror image of the national average. Alabama is the only state surveyed so far to place a higher priority on winning the War. If John McCain is elected in November, 63% say U.S. victory in Iraq is likely. Just 23% victory is likely if Obama wins the White House. Fifty-two percent (52%) say that a President Obama would get the troops home during his first term in office. Forty-nine percent (49%) say McCain would do the same. Forty-five percent (45%) of Alabama voters say that President Bush is doing a good or excellent job. Thirty-five percent (35%) say he is doing a poor job. Nationally, the President’s Job Approval Ratings are near the lowest levels ever recorded. The survey was conducted in partnership with Fox Television Stations, Inc.
“Karl Rove saying he’s had nothing to do with firing U.S. Attorneys and nothing to do with my case is like President Bush saying he’s had nothing to do with the war in Iraq because he hasn’t pulled a trigger,” said Siegelman. 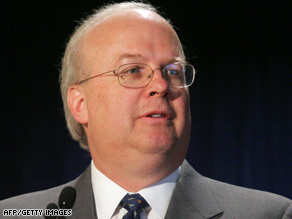 ABC News: Karl Rove on the Don Siegelman case. CNN: A 76-year-old Nepalese man reached the summit of Mount Everest on Sunday and became the oldest person to climb the world’s highest mountain, a tourism official said. Min Bahadur Sherchan reached the 8,848-meter summit early in the morning with his climbing guides, said a Nepal Tourism Ministry official, Ramesh Chetri. Sherchan was just 25 days away from his 77th birthday, Chetri said. He beat the record set last year by Japanese climber Katsusuke Yanagisawa, who scaled the peak at age 71. Sherchan was in good health and was descending from the summit, Chetri said. CNN: A British teenage actor playing a minor role in the upcoming “Harry Potter” film was stabbed to death during a brawl in London on Saturday, police said. Rob Knox, 18, was stabbed after he got caught up in a fight outside a bar in southwest London early Saturday, London’s Metropolitan Police said in a statement. Knox plays Ravenclaw student Marcus Belby in the upcoming film “Harry Potter And The Half-Blood Prince,” the sixth installment of the popular series set for release in November. Warner Bros., the studio that is producing the film, said it was shocked by the news. AP: Former Alabama Gov. Don Siegelman has asked a federal appeals court to overturn his conviction in a government corruption case. Siegelman’s attorneys filed an 84-page motion today. They asked the 11th U.S. Circuit Court of Appeals to order the former Democratic governor acquitted of all charges or grant him a new trial. Siegelman and former HealthSouth CEO Richard Scrushy were convicted in June 2006 of bribery and other charges. Scrushy is scheduled to file his appeal brief with the 11th Circuit by June 2. CNN: The House Judiciary Committee on Thursday served a subpoena on former top Bush aide Karl Rove to compel his testimony concerning allegations that the Department of Justice had dismissed U.S. attorneys based on party affiliation. Former Alabama Governor Don Siegelman, and his interview with the Anniston Star. This is only the beginning, my friends. This story keeps getting bigger and bigger, with the coverage its receiving from Scott Horton, Dan Abrams and my man Keith Olbermann.